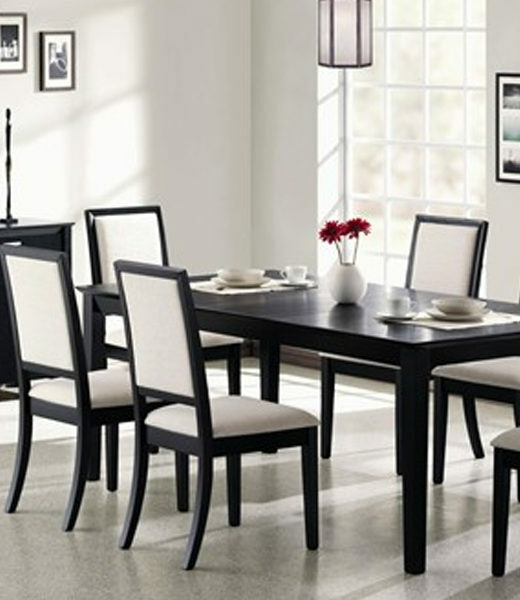 Featuring a rectangular dining table, upholstered side chairs and server, create an inviting and enjoyable dining atmosphere. 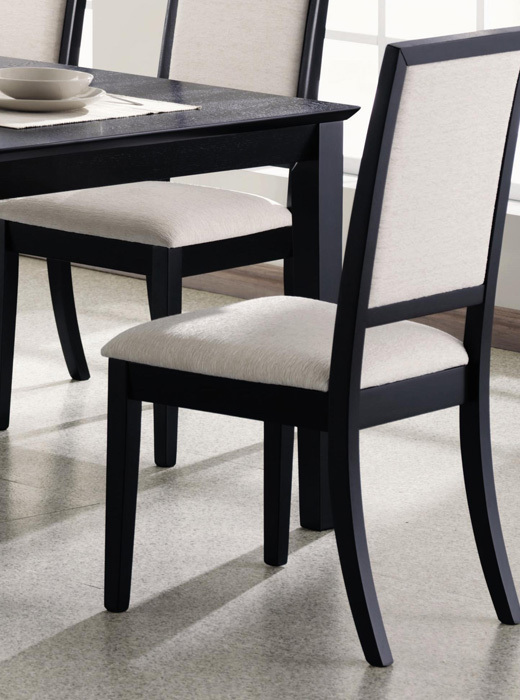 Accentuate your dining room with the relaxed contemporary style of this side chairs. 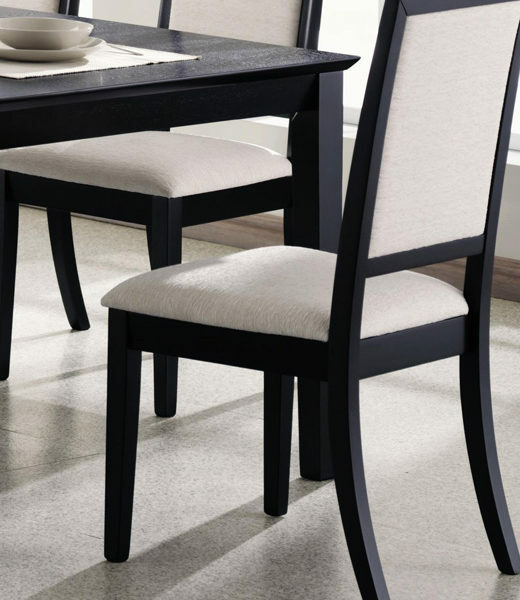 The creme chenille seat and seat back not only provide comfort, but compliment the deep distressed black finish. 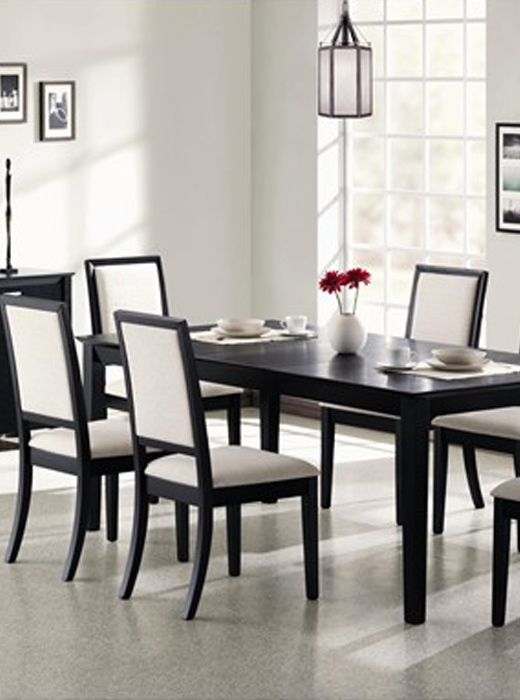 Arrange with the coordinating dining table for a complete dining room ensemble.